Realizing that you’re stuck with a lemon vehicle can be incredibly frustrating and stressful; even more so when you think about all the legal hassles that will inevitably follow. That being said, knowing your rights and how to proceed so things turn out in your favor can make all the difference in the process of seeking compensation! Now, it’s important to note that the auto industry has access to some of the best legal defense in the country. Filing a claim and navigating the cumbersome lemon process needs to be done VERY carefully in order to get the justice you deserve. Read on to know how you can get the maximum compensation from your vehicle manufacturer. Once you’re certain that your vehicle is a lemon, make sure that you’ve got all the records for the vehicle repair attempts in place. You’ll need to keep track of bills, part replacement receipts, the names of people who worked on the vehicle, as well as the number of days the vehicle was in the shop each time. Also make note of related expenses such, as the towing costs or commuting fees you incurred. Next, it is not necessary to contact the dealership or manufacturer to let them know you’ve been handed a lemon. They have an affirmative duty buyback the lemon or give you a replacement. If they do not, you should pursue a lemon law claim against your vehicle manufacturer right away while you are still under warranty. Your vehicle manufacturer might request you to take the arbitration route. Arbitration hearings are completely different to court hearings, there is no jury, and the decision is made by only one decision maker – the arbitrator. In an arbitration, you will have only one person making a final ruling, instead of twelve piers taken from your local community. Note that the vehicle manufacturer cannot compel you to opt for manufacturer-sponsored arbitration, but if you choose to use it, know that lemon law standards might not be applied to your case by the arbitrator or panel. In other words, you might be issued a partial refund instead of getting full compensation or a replacement, even though your vehicle is found to be a lemon. Moreover, should you lose during an arbitration, you don’t have to accept the decision. The decision is only enforceable at the option of you, the consumer. That being said, should you choose to reject the arbitrator’s decision, the manufacturer can use the arbitrator’s decision against you as substantive evidence your vehicle does not qualify as a lemon. Remember that the arbitration is not always favorable to the consumer, and is almost always less favorable than your constitutional right to a decision by a jury of your piers. In any case, you’ll be representing yourself while your vehicle manufacturer will likely have an expert to represent themselves. Since you’ll have a limited opportunity to appeal if the decision doesn’t go in your favor, it’s advisable to tread with caution. If you think your car is a lemon it is best to pursue a lemon law claim for a full buy-back. The best way to go about this is to hire an experienced lemon law attorney to represent your case. Hiring an attorney will certainly help you get maximum compensation. Interpreting the law can be challenging in itself, but fighting for your rights on your own will mean being pitted against very seasoned lawyers, which can drastically thin your chances of getting justice. Keep in mind, it’s a common tactic for manufacturers to delay the process. With a lemon attorney, you’ll not only be able to get the compensation you deserve, your case will be resolved quicker, too! To make matters better, if you pervail, your lawyer fees will be paid in full by the vehicle manufacturer! Knowing vehicle manufacturer obligations and understanding your rights is important so you can present your case better, and hence gain maximum compensation. Under the California lemon law, your vehicle manufacturer can satisfy obligations by either offering you a replacement or a buyback. If both you and the manufacturer agree to this, the manufacturer must replace your vehicle with an identical one. The manufacturer is also obligated to pay collateral charges like registration fees and sales tax, as well as offer a full warranty for the new vehicle. Under lemon law, your vehicle manufacturer is obligated to pay you a buyback amount less the ‘mileage offset’. This will include the amount that you paid for the vehicle or that is still payable. So if you applied for a loan, your vehicle manufacturer will be responsible for the down payment, all monthly payments you made toward the loan, and all pending loan installments. 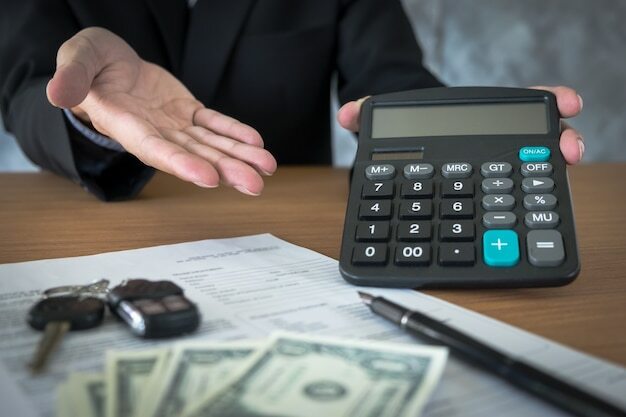 Note that the vehicle manufacturer may NOT be obligated to pay late charges and other penalties you might have incurred on the loan. The buyback amount also includes transportation charges that you had to bear when you purchased the vehicle, and any extra amount that you paid for manufacturer-installed items. The vehicle manufacturer may NOT be obligated to pay for non-manufacturer items or accessories that you installed. Registration fees, sales tax, and other official fees are all to be paid by the vehicle manufacturer. Incidental damages include charges for vehicle repairs and any expenses that you incurred as a direct cause of the vehicle’s defects. You can seek compensation for cab fares, rental vehicle charges, towing charges, damages for pain and injury that occurred as a result of the vehicle’s defects, as well as loss of wages on account of having to take your car to and from the workshop. Owning a lemon vehicle is never easy, but dealing with the problem doesn’t have to be so. With lemon law on your side, all you have to do is approach this in the right manner, and you’re sure to get a quick resolution.